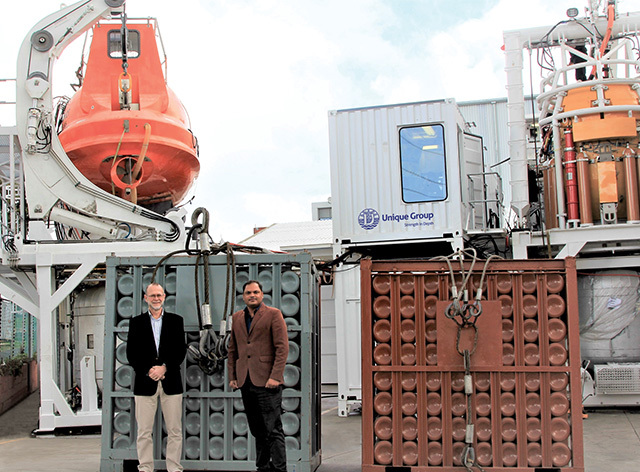 Unique Group, a leading integrated offshore solutions provider, has extended its offering to include diving & industrial gas supply for the African offshore market from its base in Cape Town, South Africa. The extension of capabilities now includes the full range of diving, welding, industrial, laboratory, test and calibration gases, chemical tanks and gas storage equipment. These additions will help bolster the Group’s diving & life support division, thereby offering a complete solution for the diving industry. As part of the integrated package offered to clients, Unique Group will supply diving gas, speciality gas and gas equipment on a sale and rental basis to its diving & life support customers across Africa. These service offerings will add to the existing range of specialised solutions and services for the marine, diving and survey industries. The expansion will significantly simplify procurement processes and reduce operating costs for clients. All equipment ranging from saturation and air dive systems to hyperbaric chambers and diving gas equipment is manufactured and supplied to stringent quality and safety requirements. The new service line will be headed by Vishvas Chauhan, who brings with him 15 years of experience in the oil and gas industry with a focus on offshore and onshore gas requirements. Rodney McKechnie, Group Director at Unique Group said: “We welcome the expertise Vishvas Chauhan brings to spearhead industrial gas management services at Unique Group. After a rigorous study of the diving industry and the current requirements of customers in the region, it was imperative for our diving division to offer a complete turnkey package inclusive of diving & industrial gas."